We interviewed Pablo Padilla (Spain) who completed the International Master in Tourism & Hospitality Management in 2014. 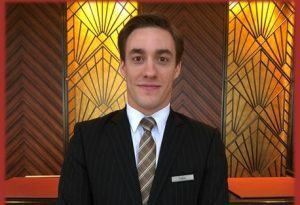 He shares his experience during his time at EADA and explains what motivated him to pursue a career in the Hospitality industry. What made you decide to study the International Master in Tourism & Hospitality Management at EADA? I joined EADA after a year in the UK, where I found my real passion for the hospitality industry. I already had a Bachelor in Economics and was looking to get prepared for this very demanding industry. During my master’s, I started an internship at the Hyatt in Hangzhou, China. Although it was supposed to last just six months, it has been already three and a half years! This has been an enriching journey full of growth, with a recent transfer to the iconic flagship Grand Hyatt Shanghai Hotel, where I work as the Assistant Front Office Manager. What has EADA’s master meant to you? EADA and its professors showed me guidance, opened my eyes and made me fall even more in love with my industry. The Master in Tourism & Hospitality Management changed my life and made me become the professional I am today. Without EADA, this transformation wouldn’t have been possible, and I will always be grateful for it. Hyatt is a company that supports growth, learning and development. They trusted me and allowed me to grow and learn from the very first day. My plan is to keep learning and developing inside Hyatt. What do you remember most about the master at EADA? The “learning by doing” methodology. We focused on real cases, facing real problems and finding real solutions. The unique experience of the modules in the Residential Training Campus: what you learn, feel and develop. I remember being an essential part of the learning process and the continuous growth throughout the year. The professors and their knowledge. All of the professors have real experience in the field and made the most of it every day, making every class unique. What makes EADA’s master’s degree different? Without a doubt, I would say the modules in the Residential Training Campus. My time at the Campus was unique and rewarding; it changed my mindset about what a “class” was and took me to the limit. I would say there were two experiences. 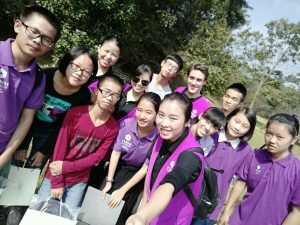 First, the end of the last module in the Residential Training Campus, when, after going through the whole year, we all realized that we were completely different people from when we started the programme. It was very special to look back and see –already– what EADA had given us, although we still were not fully aware of it. The second experience I remember most was just after finishing the final project. I had the feeling that we had put everything that we had learnt out there. In that moment, we realised that one of the best –but at the same time toughest– experiences of our lives was about to finish. A new chapter of our life was about to begin and we were ready for it. Define EADA in one sentence. The choice that will change your life, making you become the professional you what to be.